Thank you McDonald’s for helping us celebrate our RMHCA moms on Mother’s Day! We all know each mom works hard and has great dedication to their families, but McDonald’s wants to make sure moms know it hasn’t gone unnoticed. So they made sure one RMHCA mom had a little extra pampering on her special day. 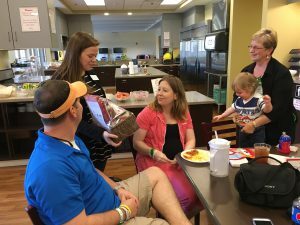 Pictured here is Karrie, RMHCA’s newest mom (as of Mother’s Day 2016). Her son William was born just in time to celebrate her special day with her. Thanks to McDonald’s She received a basket from 1-800-Baskets.com full of amazing items! We are so happy to have such a thoughtful company as our mission partner. McDonald’s makes sure we have what we need and is always there to lend a hand (or give a basket). 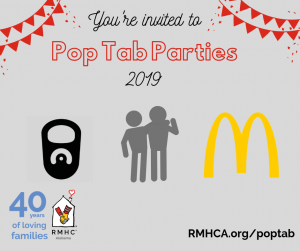 If you are wondering what our partnership with McDonald’s means and how you can get involved, learn more by clicking here.